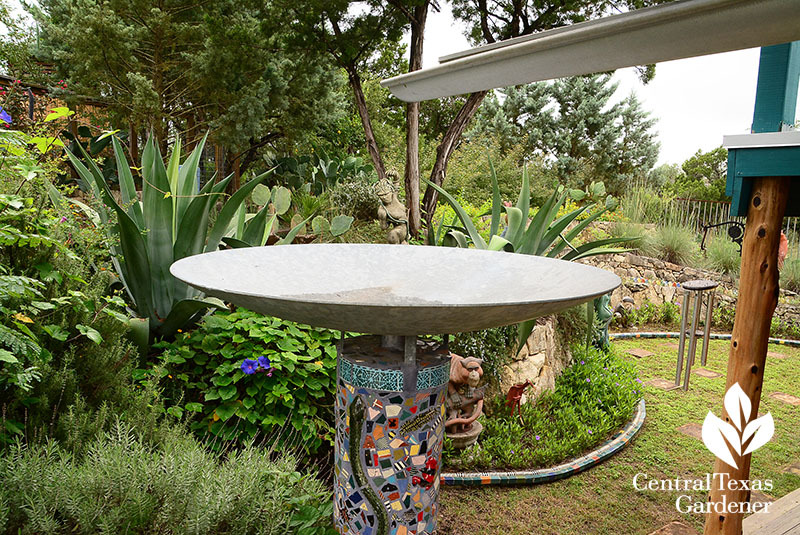 CTG’s been busier than a fireworks stand to launch a sparkling new garden year bursting with design inspiration, DIY tips, and the “whys” behind success. 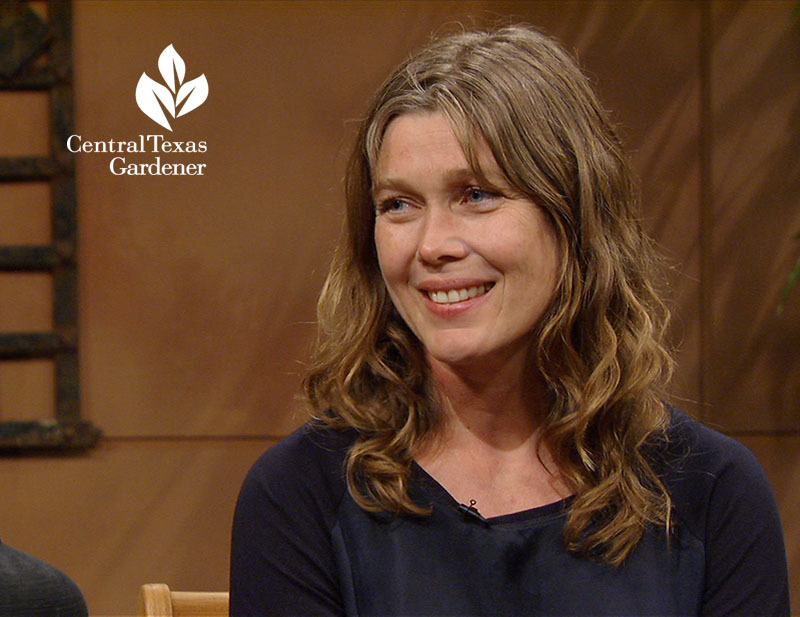 On January 5, we lead off with Texan-gone-to-California Flora Grubb of Flora Grubb Gardens in San Francisco who crosses the ever-growing borders of drought response. 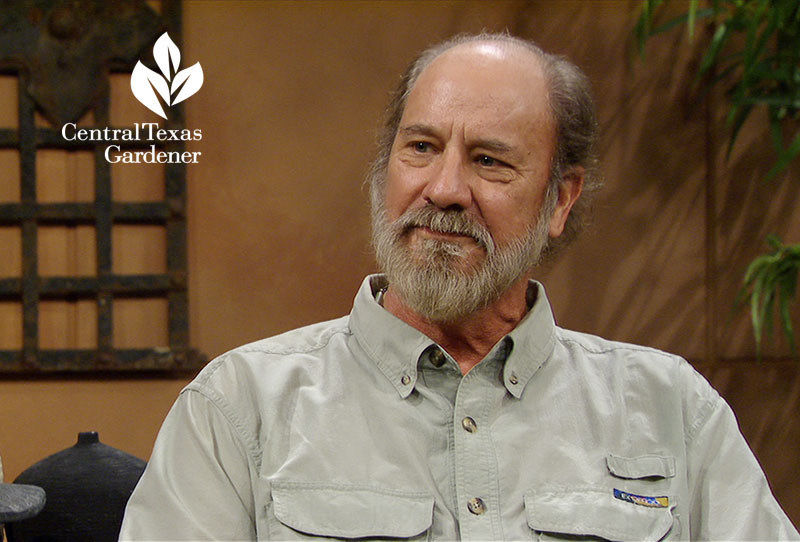 Jim Kamas, Texas A&M fruit specialist in Fredericksburg, rounds up your fruit-growing questions since trees will be hitting nurseries in a few weeks. 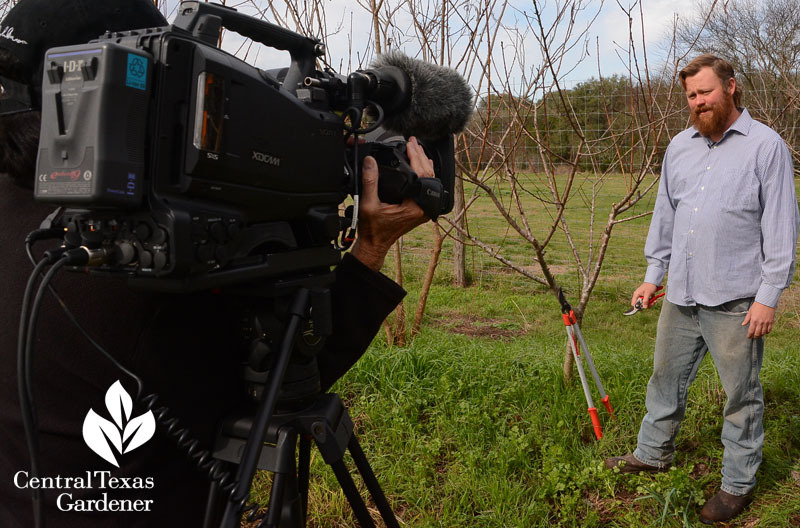 In San Marcos, Zach Halfin, garden manager at Thigh High Gardens, demonstrates basic peach tree pruning and what tools you need for the job. Which reminds me: time to get my tools sharpened! Achoo! Are mountain cedars clouding your vision and sinuses? 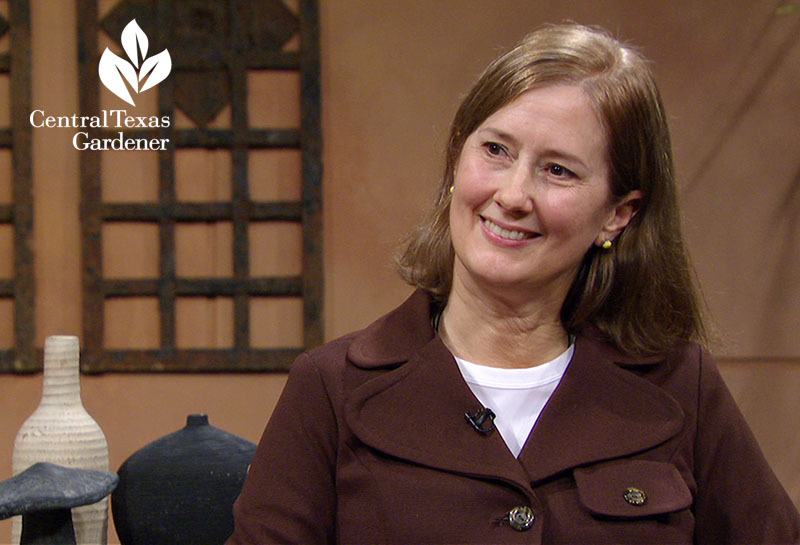 Elizabeth McGreevy, landscaper designer and ecologist, explains how and why to get past the season of sneezing for long-term ecological benefits. Multiply your riches (plants, anyway!) 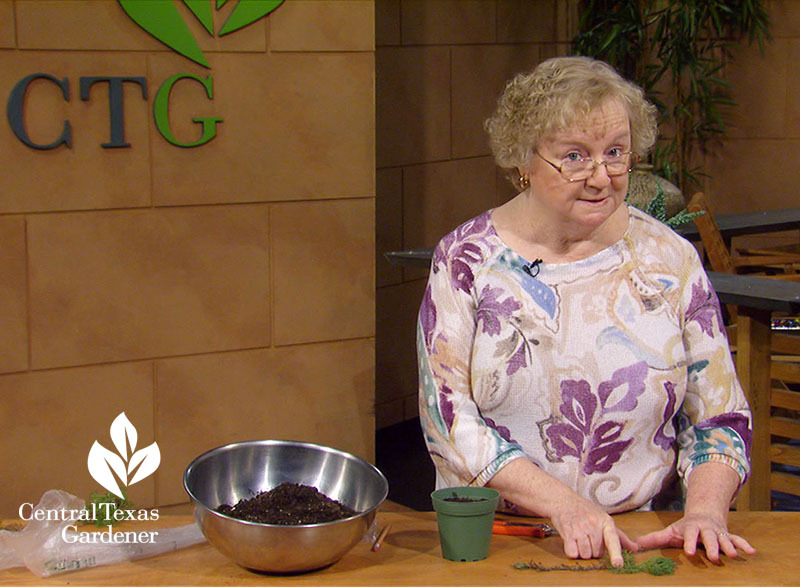 when Ann McCormick, Herb ‘n Cowgirl from Ft. Worth, shows how to propagate woody-stemmed plants. 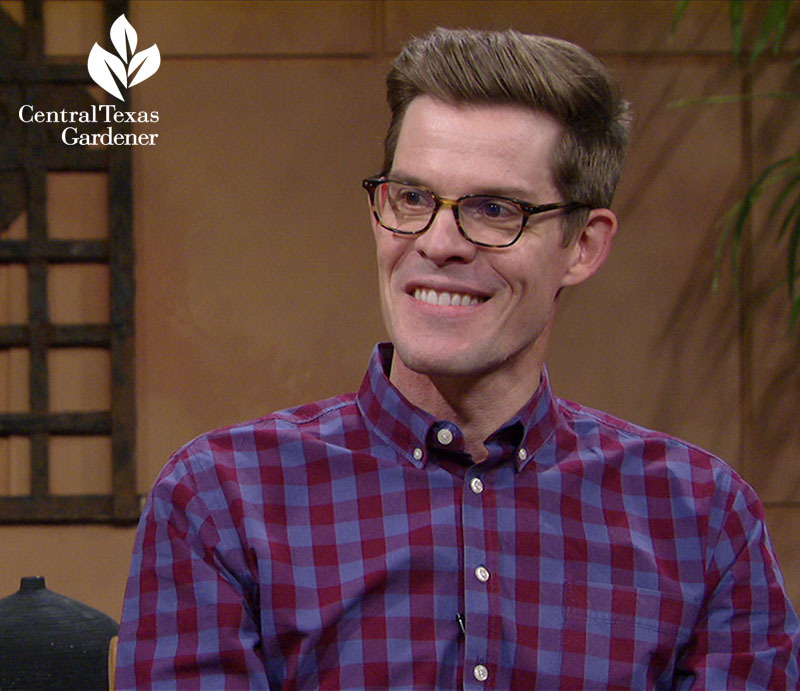 Find out why science is behind the proverbial “green thumb” with biologist and science writer Joe Hanson, creator/producer/host of PBS Digital Studios’ innovative It’s Okay to Be Smart (and Hot Mess). Daphne tackles science too: how weather swings and freeze impact our plants and why new rose leaves are red (and how to tell the difference from fatal rose rosette disease). 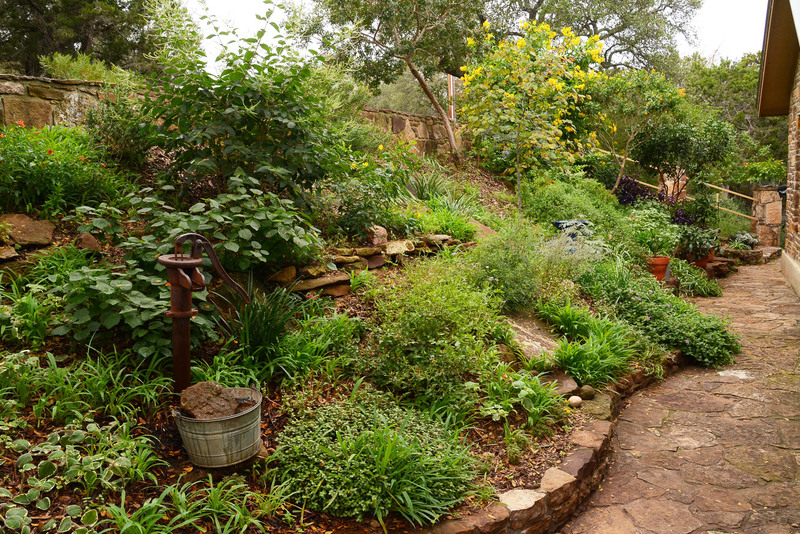 On tour, meet some gardeners who are changing our landscape of responsibility. 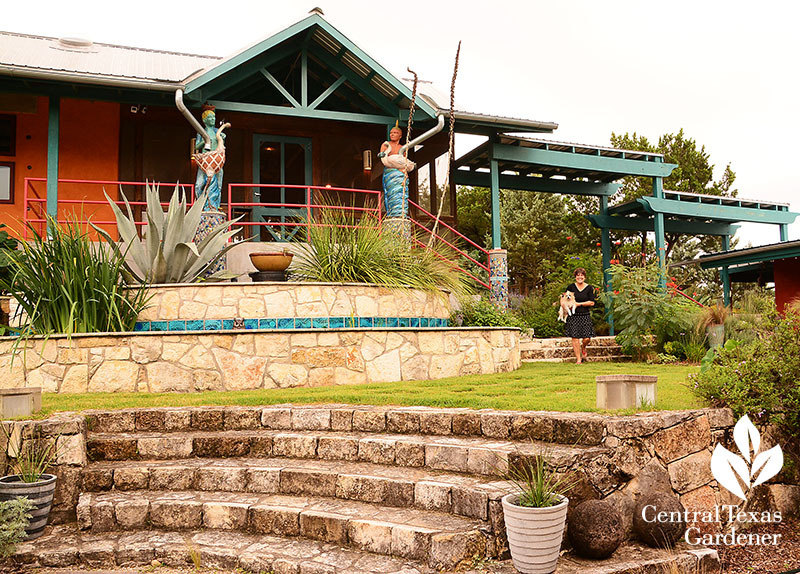 One is Cera-Mix Studios artist Claudia Reese whose compressed earth house, rain water collection, and plant selection fulfill her sustainable goal. 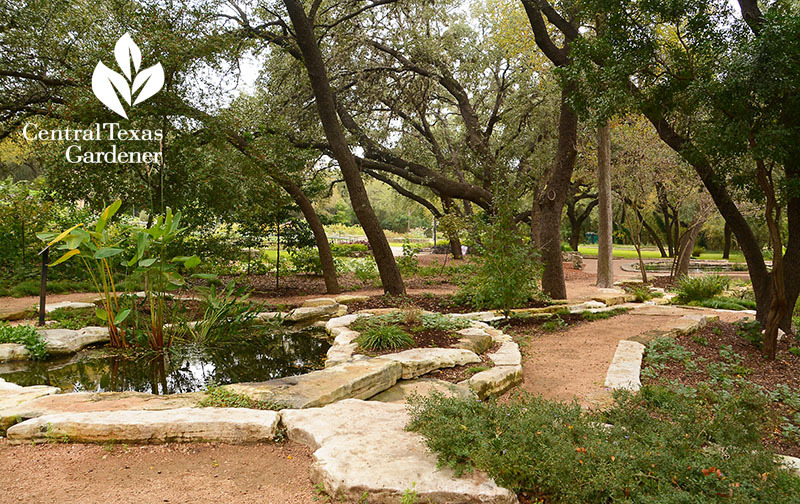 At Zilker Botanical Garden, wander the new Riparian Streambed that illustrates native plants in shade, streambeds, and ponds. 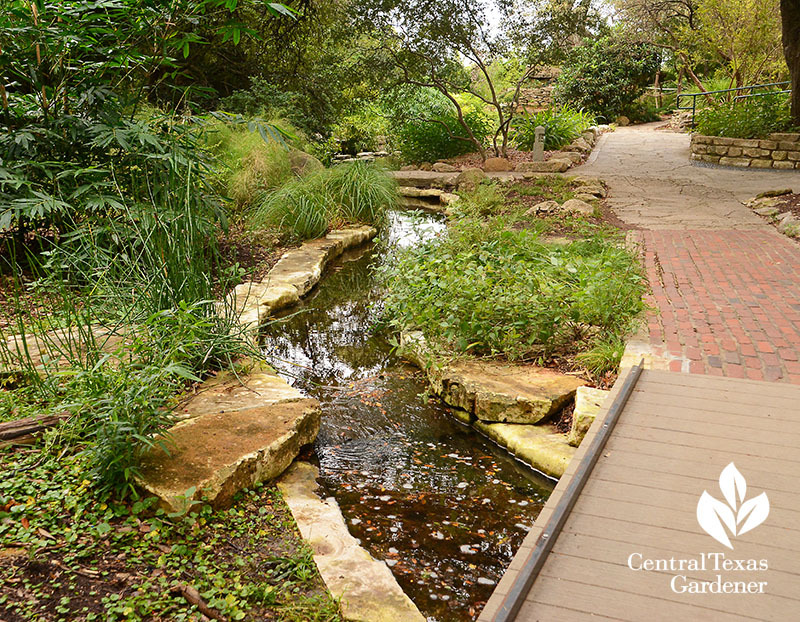 Designer David Mahler of Environmental Survey Consulting and architect Evan Taniguchi (grandson of Isamu, who designed the Japanese garden) share their philosophy about the importance of calming green spaces in our hectic lives. 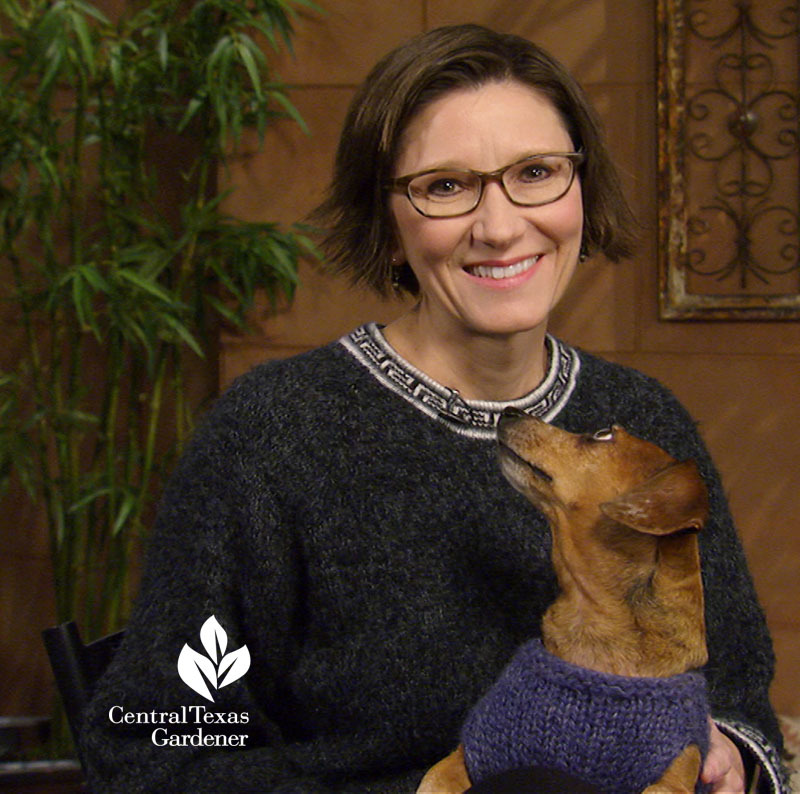 Until our winter premiere on January 5, did you know that you can watch past episodes for inspiration on your own schedule? Click here.